Posted by Sara MacLennan on Saturday, February 14th, 2015 at 11:02am. The Silver Skate Festival is truly a fun-filled event that is ideal for the whole family, and there are both day and evening activities for those of all ages. Spanning across ten days, this is an event that you may want to visit for several days because of all that it offers. While it originally brought together only a small group of attendees for the first festival 25 years ago, this is a huge event that is expected to draw 70,000 attendees this year. This is because you can enjoy everything from theatrical performances and live music to sleigh rides, snow sculptures, fire exhibits and a wide range of winter sports. There is also plenty of food and drink options available to add to the merriment. You can easily spend several hours or longer per day enjoying all of the fun activities planned. In fact, you may even want to spend all day and evening at the festival. With the cold winter weather upon the area, it is important that you dress for the outdoors. Coats, gloves, scarves and plenty of under-layers are important. Keep in mind that you may be trudging through snow or ice, so proper footwear is recommended. If you plan to participate in the winter sports, proper sports attire is necessary for active fun. There are several winter events scheduled for the Edmonton area over the next few months. However, if your time is limited and you only have plans to attend one event, the Silver Skate Festival is the best option. This is an event that has grown in size by leaps and bounds over the years because it brings families out of their homes for fun, active playtime. 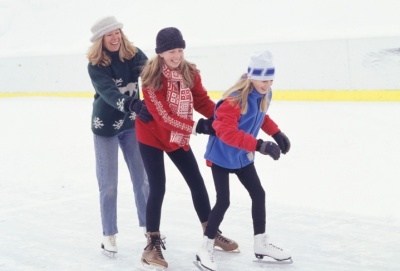 With so much to see and do at this event and with activities for everyone in your family to enjoy, it can be difficult for your whole group not to have an amazing time at the Silver Skate Festival. If you are interested in attending the Silver Skate Festival, you may consider spending time researching the different events that are planned for various days of this 10-day event. You may also make plans for parking and your winter weather attire ahead of time. If you plan to participate in the sporting activities, you can begin training for your events now. When you learn more about the event and make plans to attend, you will be preparing for many fun-filled days enjoying the beautiful winter weather with your family at the festival.